When it comes to captivating reads that snag interest and capture long-term readership, serial stories take the cake. Relatable incidents, swift moving plot lines and plenty of reasons to hang out with characters who become as close as real life friends all add up to serious series appeal. This winning combination works just as well for readers new to chapter books, too. Here are a few junior novels for younger children, chapter books if you will that are sure to tantalise. 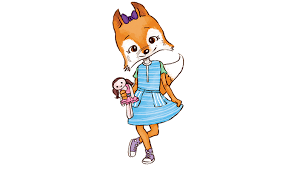 Ginger Green is a foxy little minx in her first years of primary school. The thing she is most adept at this age is throwing playdates. Her winsome and extrovert personality allows her to make friends easily although not every person she tries to befriend has similar virtues. 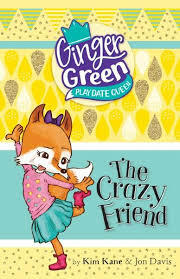 The common denominator in this series, which includes, The New Friend, The Crazy Friend, and The Fancy Friend, is as you may have guessed friendship. Just as well as this is precisely one of the main topics of playground conversation for youngsters at this age. Through her various encounters with new arrivals, neighbours and difficult school mates, Ginger’s relationships reveal a gamut of social issues told in age appropriate prose with plenty of dialogue and line drawings that reinforce the storyline. These are stories that subtly instruct good behaviour and tolerance whilst giving emerging readers confidence to read their first chapter books. Ostensibly, ideal for young misses. If there is anything reality-cooking shows have taught me it is that a passion for cooking is not restricted to people who can’t see over the countertops. Indeed, many youngsters are enthusiastically taking up this useful pastime. So Murphy’s cleverly crafted series about the Cookson family and their enticing epicurean adventures is prime fodder for young readers aged seven and above to feast on. Again, this series may be more suited to the female side of the kitchen bench with its pastel sweet coloured covers and beguiling main character, Sage. However, storylines simmering with plenty of exciting exploits and boiling with mystery guarantee both boys and girls will gain maximum satisfaction. Who wouldn’t want to cook their way around the world with their TV chef parents! 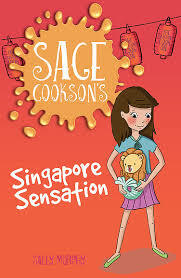 It’s a life style of fine food and extravagance for Sage yet her pragmatic outlook and her own foodie fascinations mean she is one little cookie kids are sure to love. Sweet Escape is the first in the series followed by Fishy Surprise, Ring of Truth, and Singapore Sensation, due out in May. You can read Romi’s review of Ring of Truth, here. But the best part? The delicious do-it-yourself recipes included in each novel. Hmmm. Mango is a perky goggle-eyed pug who happens to star in her own hit TV show, Puggle in a Muddle. She is wildly successful and enjoys all the gravy one little dog could wish for from a life of fame and fortune however, refreshingly, does not seem tainted by the bright lights. Her owner is a Hollywood actress who devotes all her time to making the most of moments with Mango. 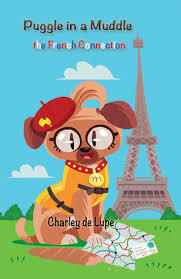 When they are separated in the first novel of this series, The French Connection, all of Mango’s doggy instincts and sassy street smarts are put to the test as she crosses oceans and traverses continents to find Kaylia. In spite of a narrative that is occasionally as overzealous as a puppy on a playdate, Puggle in a Muddle will more that satisfy young dog lovers and those with a fondness for riotous adventures. Mango’s French sojourn is followed up by A Worm in the Big Apple. Both make ideal middle grade reading.